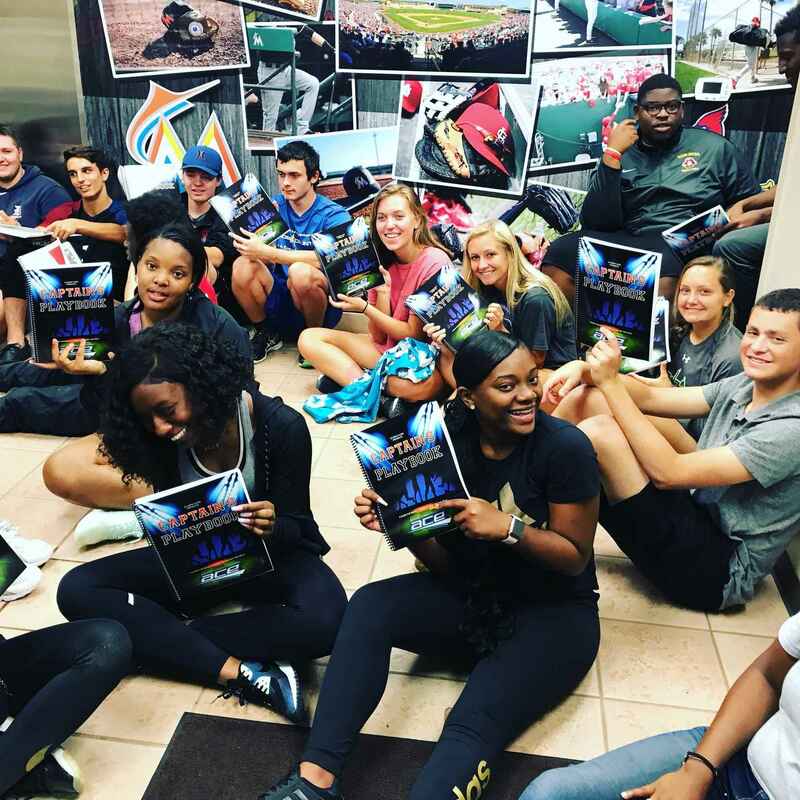 Student ACES (ACE = athletics, community and education) was founded in 2013 by father-daughter team Buck Martinez and Krissy Webb to create a pathway for high school students to achieve the highest standards of leadership. The inspiration for ACE stemmed from their desire to see students achieve a foundation of leadership that would generate positive outcomes and success in the students' lives. It is documented that students engaging in this program have executed leadership skills and are thriving; the learned skills transfer to the student's professional workplace and are beneficial through all phases of life; especially in leadership positions. The Student ACES Yearlong Program: This program is provided to students from public and private high schools and consists of six classes and a community project. Students are nominated by their high schools or peers for exemplifying leadership traits in athletics, education and in their community. Students are excused from school and work together with students from different ethnicities, backgrounds and cultures to discuss values-based leadership. A network of young men and women of character and integrity is created and life-lasting friendships are formed! Captains' Summit: This one-day seminar is designed specifically for high school athletic captains to learn leadership skills, techniques and life lessons that will enable them to lead each of their teams on and off the field. Participating student athletes have firsthand experience to hear and engage with world-class experts and leaders in their respective professions while connecting with captains from other schools. The student athletes engage in interactive drills designed to incorporate communication, respect, sportsmanship, trust, sacrifice and ethical behavior. The captains also engage in team discussions on challenges facing today's young leaders including dealing with peer pressure, difficult personalities, drugs/alcohol abuse, cultural barriers, family problems and similar issues. One Day Leadership Workshops: These workshops are developed for athletes who are interested in applying leadership techniques. Workshops allow us to partner with schools, universities, training facilities, camps and individual teams to address specific needs of each organization, such as, sportsmanship, team chemistry, attitude and team leadership. Focus Groups: Developed for Glades Central and Pahokee High Schools, 25 students from Glades Central and Pahokee High School meet with Dajuan Morgan, Student ACES Director, each week on their campus during 7th period and discuss how to positively impact their peers and community. Student ACES Daily Class: Daily 52 minute class developed by Student ACES to teach a values based curriculum. Students will use materials developed by Student ACES. Mental Health First Aid: ACE Executive Director, Krissy Webb, is certified to teach mental health first aid to 30 student athletes 18+ at one time from the different County High Schools. This program is evidence-based and will bring an exciting and socially relevant new skill to student athletes across Southeast Florida. Student ACES does not charge the schools or parents we strictly rely on corporate, private and individual donors. We are pleased to donate to further the kids interest in Sports and related activities. I believe the ACES program is one of the best, if not the best, leadership programs for high school students in the country. This organization is having a tremendous positive impact on our youth. Palm Beach 100 attendee who forgot her checkbook the night of the event. Thank you for your presentation!